When it comes to gift giving I love to create special handmade gifts for our neighbors, friends and of course my family too! I grew up making Christmas gifts for family members and there is just something so special about putting your time, talents and love into a gift you give. I made this fun DIY Star Wars Darth Vader Canvas Wall Banner for one of my son’s gifts this year and thought I’d share it here with you too! Before we dive into the quick and easy tutorial for this gift I have a little something special to share….I have joined fourteen other bloggers to share with you the perfect Disney themed gift ideas + an exciting holiday giveaway! Click on each of the links below to head to their tutorials and recipes. Remember to pin them to your Pinterest boards to save them for later! So many great ideas, right?!? We are redoing my son’s bedroom and he has requested a Star Wars theme. I thought this little banner would be a great addition to his room and it was a quick and easy gift. I whipped up this banner in under 20 minutes with my favorite craft tool, my Cricut Maker. Open up Cricut Design Space and upload the Darth Vader SVG. Use a Star Wars font and add the “Together We Can Rule The Galaxy” text below the Darth Vader graphic. Add stars and circles to create your “galaxy” around the image. Cut the image out on black iron-on vinyl and gold glitter for some of the stars. Once you have weeded the image center it on your canvas banner. Use the Cricut EasyPress and iron-on your vinyl design to the banner. That’s it, easy peasy! I think my son is going to love having this fun little banner hanging in his new Star Wars themed room. Hopefully, this will be a gift he treasures long after the magic of Christmas has come and gone. 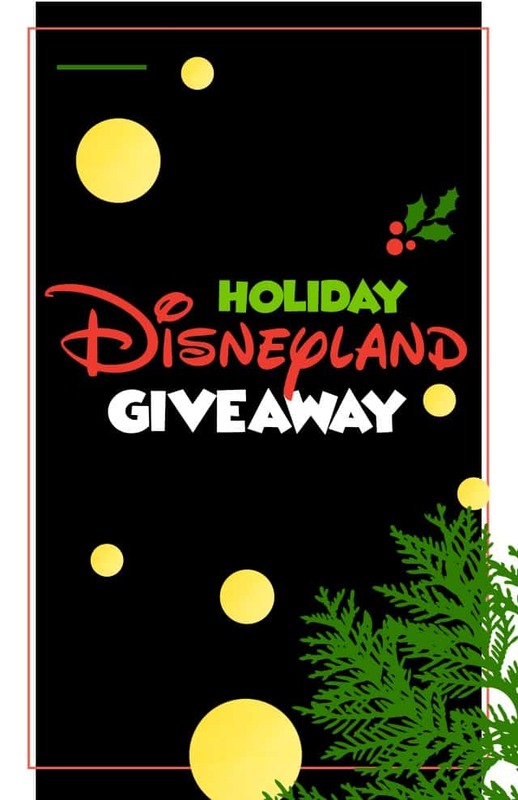 Speaking of magic….I’ve also teamed up with all of these bloggers and Getaway Today for a holiday Disneyland giveaway! One lucky reader is going to win a 3 night Southern California hotel stay with 2 adult and 2 child 1-day tickets to two attractions of their choice. The parks they can choose from are: Disneyland, California Adventure, Knott’s Berry Farm, Universal Studios Hollywood, SeaWorld, San Diego Zoo, San Diego Safari Park, and Legoland. This is valued at $1,500! Super awesome project! Question: did the canvas banner come blank and hemmed and with the dowel? I can’t seem to find it on the Hobby Lobby website. Help! Hi Christine, yes I found the banner with the dowel rod and hemmed at the store. It was in the Christmas craft section so it may have been a seasonal item.